Book 3 in the series and the latest release. This Giveaway has now ended. Congratulations to our winner – Tom! 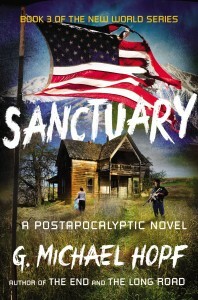 Once you read this review and get excited about reading all of G. Michael Hopf’s dystopian “The New World Series” – Sanctuary is the newest book – put the books in your Amazon cart or on your wishlist, enter our contest to win the entire series (at the end of this review), then sit back and wait. If you’re the winner, empty out that cart and start reading! If not, well you still have an excellent series waiting for you! 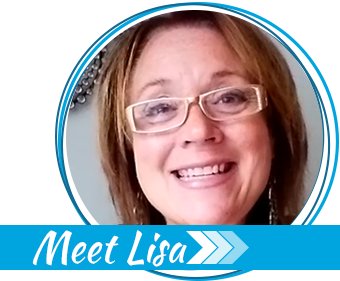 If you’d like to listen to his explanation of how he developed this book series, listen to Lisa Bedford’s interview with author G. Michael Hopf here. Would you survive a living nightmare? A time travel machine has been invented, and I hope that no one ever uses it because there is a living nightmare on the other side, and that nightmare is the setting of G. Michael Hopf’s New World Series. That time machine is an EMP (electro-magnetic pulse) that could send us all back to the lifestyle of the 1800’s and a life without electricity by destroying (overloading) all our electronics so they no longer work. This includes the electrical grid itself. People who see planes fall from the skies realize something bigger has happened. One of those people is Gordon Van Zandt, a former Marine who was out for a morning run in San Diego. While other people wait for the power to return, Gordon has his family start filling up containers with water and grabs a bike and trailer too get supplies, knowing they will disappear fast. His quick decisions set his family up for a good chance of survival. Gordon’s brother, Sebastian, is a deployed Marine when the attacks happen. Orders are sent out to recall all military back to the U.S. to help with the recovery on the East coast. However, his unit commander, Lt. Col. Barone, decides to take over the ship and go back to California so the servicemen can help their families survive. The orders had been given by the only person left alive in the government chain of command, Speaker of the House Brad Conner. He had left Washington because his son was in a car accident in Oklahoma. The ventilator his son is on in the hospital stops working after the EMP and yet, after this loss, Conner realizes that something big has happened. He makes his way to Tinker Air Force Base in an old truck and is sworn in as President. Down in Mexico, there is one final player who makes an impact in this series, Pablo Juarez. He is the son of a drug lord who sees America’s demise as a chance for restoring Mexico’s glory as his own empire. These four worlds collide as people try to survive and America tries to get back on its feet. Neighbors turn into enemies over food. People barter with ammo, food, and anything else available. Starvation and disease become the norm. Violence and murder can be viewed from your front porch. Anything that can go wrong, does. And that’s just in the first few weeks after the attacks. In the most recently released book of the series, Sanctuary, Gordon finds himself seeking revenge against a leader of a cult who held him captive while his family travels to their land in Idaho. They get there just as winter sets in and are forced to seek shelter amidst strangers, just shy of their goal. Juarez continues his attack on the former America using any means necessary. The country divides into sections and people like Lt. Col. Barone seize the opportunities to control parts of the country. Even Sebastian finds himself seeking sanctuary as his new marriage divides the family. Without giving too much away, the end will have you wishing book 4 was already released! I recommend this series for anyone who wants to explore what an EMP could do to our way of life but enjoys good fiction. 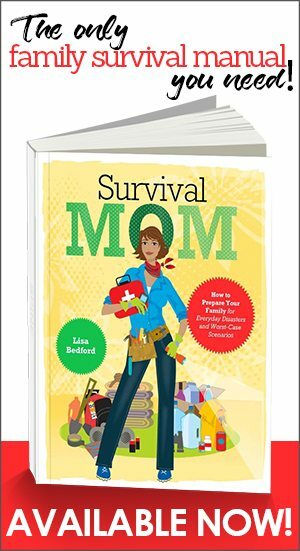 It is also a great series to lend to people who do not understand or feel the need to prepare for emergency situations. This is one of the most devastating scenarios of what could happen, but it does cause you to think about how and if you could survive a true disaster. This book is not appropriate for anyone under 18 because there is a lot of descriptive violence, which would be a reality in a post-EMP world. As a newbie to the postapocalyptic (dystopian) genre, this series was riveting and caused me to think a lot about different scenarios that could happen with an EMP attack. I have re-examined what things we need to have on hand, such as coffee. “The lack of caffeine in this new world had more than once proven to be a problem for him,” Gordon thinks in Sanctuary. 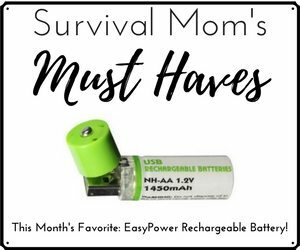 I honestly don’t know how long my family and I would survive after an EMP attack, and I hope we never have to find out. 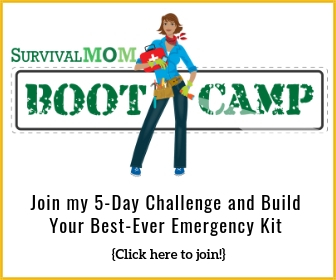 However, it is something that we all should think about when preparing for emergencies. For more information, visit G. Michael Hopf’s website, Facebook page, and follow him on Twitter, @GMichaelHopf. The prize for this contest is the entire series! You get all three books so there’s no waiting to buy the next one! This giveaway is open to all legal residents of the United States who are 18 years of age and older at the time of entry. The giveaway starts July 29th, 2014 at 5:00 am (CDT) and ends on August 2nd, 2014 at 5:00 am (CDT). We will choose a winner at the end of the giveaway and that person will be notified by email. They will have 48 hours to respond. If they do not respond we will choose another winner. Good luck to everyone and here’s to enjoying a great book series! Hi, I look forward to reading this book, whether or not I win. Thanks! They do sound n like a good read. Would love to win them. Enchantress by Maggie Anton also looks amazing, but I definitely have the New World Series in my wish list. I would love to win this series! Very nice giveaway set. Sounds like great reading ahead! Disease proof and Mrs Lincoln’s dreammaker sound good as well! I would love to read this series. This could really be an eye opener for some people. I would love to learn more about it. Looks like an interesting and attention-grabbing series! Would love to give it a try! I have only read a few of your blogs and love them. I am very intrigued by this book series. Hoping to win since my library does not have any copies of any of these books. I would like to read a few books this summer, alongside these, If I win them, I want to work on A new Earth by Eckhart Tolle and then maybe some of the cookbooks Plume books have. I read every chance I get and I love distopian books and especially series. . It would be so fun to win!! I would love to win these books. My favorite genre and favorite topic within that genre. I’ve read part of the first book in this series and would love the chance to read more. What I’ve seen was very interesting and also well written–a trait you don’t find all that often in this genre. I would love to see A. American’s Survivalist series. This would be so cool I am a voracious reader(thanks Mom) so these would be a great addition to my (little) library. Sounds like an interesting read, for certain. I just started reading the post apocalyptic books and find them very interesting. Makes you think of “what if?”. sounds like a great series! love reading these kinds of books.. hope to check these out.. I would also love to read The Last Runaway and Mrs. Lincoln’s Dressmaker.Fabulous giveaway; you can never have too many books! Thanks for the giveaway opportunity. The books look sooo good! Can’t wait to read them. Would also like to read the Going Home books by A. American. They look real good too. I do love these survival type books. Any thoughtful person should recognize the real possibility of an EMP attack. Our dependence on electricity for every aspect of modern life invites such asyemetrical warfare. Many of our enemies have the capacity and willingness to destroy our nation. It therefore is essential that each person take seriously their responsibility to prepare their family for disaster. I would absolutely love to win this series! I have a huge interest in the subject matter! If I don’t win them I am totally going to buy them!!! I am always looking for books on this type of topic! Most everything out there is just fluff, non-relevant stuff…so glad to see some new relevant material! These books are on my wish list!! Reading books like this gives me great tips. I don’t normally read books but these are books I would read! How do you people sleep after reading books like this? I hope I win. I’d like to read the Going Home books by A. American. My favorite right now is another EMP story series by A. American 1) Going Home, 2) Surviving Home, 3) Escaping Home, and 4) Forsaking Home. The End series is also on my to-read list this summer. This is just the type of scenario that people should pay attention to; look what the Carrington Event did and that was only telegraph lines. India suffered major problems from a similar solar flare and we just missed a big one by nine days. These are definitely on my reading list now! I’d like to read Mrs. Lincoln’s Dressmaker. 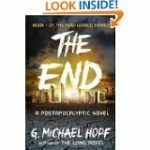 About 2 years ago I read G. Michael Hopf’s “The End”. Great story and characters. His other books hadn’t been published yet. Thanks for the reminder to get his other books and catch back up with Gordon, Sebastian, and all the rest.